Our security and data protection credentials are now backed by Cyber Essentials and IASME Governance (GDPR) certification. Coaching and mentoring are widely recognised as contributing to an organisation's efficiency by developing its key resource: its people. However, training alone is not enough to ensure that the culture filters through the organisation to the point where it's needed most. CRBhub forms the essential glue that will hold your coaching or mentoring programme together, embed it into your organisation, and make it successful. Originally named CoachNet, CRBhub was designed and developed in close consultation with coaches, mentors and programme administrators working in the public, private and voluntary sectors. Over the past nine years, CRBhub has been continuously improved, and has benefited from the experience and feedback of our numerous high-profile client organisations who have been using CRBhub to support their coaching and mentoring programmes. CRBhub provides complete support for your coaching or mentoring programme, whether your primary concern is ease of use for the participating individuals, or powerful aggregation of usage data to demonstrate the ongoing business benefits of your programme. Match: Coachees or mentees can identify and request a relationship with their preferred coaches / mentors based on their profile and preferences. Administrators can use automated shortlisting to match the most suitable pairings from the current available coaching / mentoring pool. Manage: Coaches and coachees / mentors and mentees can use the system to manage their relationships in their entirety: scheduling or logging sessions, confidentially sharing documents and notes, and reviewing their achievements, all of which builds on their ongoing system profile. Various automated targeted notifications mean less resource needs to be devoted to the facilitation role, and administrators have the ability to intervene manually when required. Evaluate: Qualitative and quantitative feedback may be gathered from participants at various points throughout the coaching / mentoring process as required. Benchmarking questions may be used to determine a coachee or mentee's improvement throughout the process, and collecting feedback from coaches / mentors and third parties such as sponsors improves the quality of the data obtained. Report: The suite of powerful administrators' reports range from graphical summary management reports, which give a clear visual overview of programme performance, to highly detailed user-level reports which are generated based on the administrator's specified criteria and filters. For complete data analysis, administrators may download all non-confidential system activity in CSV (Excel) format. Every CRBhub system is supplied branded to match the commissioning organisation's programme, and also included in the initial implementation cost is personalisation of the user profile dataset, matching criteria and evaluation question sets. We will also help you to manage your system launch and ensure that any existing user / relationship data are included. With a track record of providing bespoke web solutions for over 15 years, we believe that a system should be flexible enough to adapt to each client's individual requirements and way of working, and CRBhub provides this flexibility. While a core level of personalisation and branding is included as standard, many of our clients choose to benefit from additional customisation at the initial system build stage. For an agreed fixed cost, we will modify or extend the core system as required in order to fit perfectly into your programme. Most clients also find they need to adapt the system as their programme evolves, either in line with new organisational objectives or as a result of feedback from existing users or focus groups. As such, a CRBhub implementation is fully adaptable and extensible, and we offer a range of cost-effective options to keep the system delivering maximum benefits for you on an ongoing basis. Dawn Nisbet, Talent and Corporate Manager at the NHS North West Leadership Academy, has had an established coaching programme for over five years. However, the information management system that was in place was limited in reporting capacity and unable to produce advanced reports on coaching activity across the north west region. Dawn researched a number of options to find an improved coaching and mentoring administrative system and chose CRBhub from CRB Associates. The company was commissioned to deliver a mentoring platform as an extension of the north west core CRBhub, replacing the previous system. CRB Associates undertook a data migratory exercise to export all the existing profiles and relationship information into the new CRBhub system, which went live in April 2011. Dawn says: "I discovered that CRB Associates was able to provide a customised system that was bespoke and not just 'off the shelf'. They were also able to build what we needed at a very reasonable cost. "With enhanced reporting capacity, and the system being easier to use, we were able to get a much quicker picture of regional and localised pockets of activity. The reduced cost of the system along with the benefits we've had from it has been brilliant. 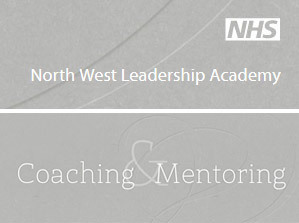 "Communication between the NHS North West Leadership Academy with coaches and coachees is much improved and people can easily find out who they need to speak to. The system really helps people to work together and encourages cross organisational working. The return on investment and the impact of CRBhub has been enormous for us at the NHS North West Leadership Academy. "CRBhub has really enhanced what we are able to report on. The whole process has been speeded up and it is far less labour intensive to update and manage the information, so as well as time saving it's cost saving. "We installed the system 15 months ago and it has produced results that we weren't even expecting. As we have implemented the system and identified enhancements that would improve our reporting and communication, we have worked closely with CRB Associates to introduce these changes and have always found them both helpful and supportive. We are really happy with CRBhub and CRB Associates." CRBhub is really well designed, adds extra value, and has proved a cost effective method to show a return on our investment in coaching and mentoring. The CRB Associates team are a pleasure to work with – they went the extra mile to make our requests a reality. I was impressed with the "can-do" attitude and constant communication from CRB Associates. There was never anything other than positivity exuded from the team, and I was always confident that whatever our requests, they would turn them into reality quickly. We were really impressed with the product that was designed for us, which has been very well received by our charity and by our volunteers, who find the system easy to use. The CRB team are responsive, knowledgeable and a pleasure to work with – they really inspire trust. From sharing concept ideas to implementation and superb post launch support, CRB Associates have been with us every step of the way. We are pleased to be working with them to continue to improve and develop our service. Please enter your details below, and one of our account managers will get in touch. In accordance with the EU General Data Protection Regulation / UK Data Protection Act 2018, any personal information that you provide to us below will be held on the legal basis of contractual performance, for a maximum period of two years, unless you give your consent for us to hold the information for longer, or unless we subsequently enter into a business relationship with your organisation, in which case the data will be held for as long as the contract requires. You may ask us to delete any of your personal information that we may hold, at any time. For more information on how we store and process your personal information, please refer to our privacy and data protection notice. Security is becoming ever more important in the online world, and with the EU General Data Protection Regulation (GDPR) now in force and adopted into UK law, it's also vital that organisations can demonstrate the measures they are taking to protect their data. — Sensitive information (D&I / EQM) is aggregated and anonymised for reporting to administrators. Behind the scenes, the system is hosted on our dedicated servers which are stringently assessed and monitored. 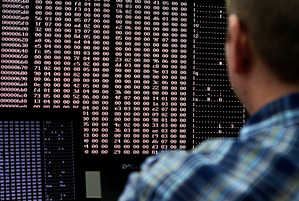 Industry best practice algorithms are used to ensure that data are encrypted where required. Our infrastructure and processes have been assessed as meeting the requirements for the UK Government-backed Cyber Essentials certification. We are also committed to data protection and GDPR compliance. We took the initiative in this area in 2018 by creating and rolling out a free GDPR pack to all of our existing clients, which allows them to obtain consent from their new and existing users, and to easily deal with subject erasure requests. This pack is included as standard in all new system implementations, although the consent functionality can be excluded for client organisations who can demonstrate another legal basis (e.g. contractual) for processing their users' personal data. We have achieved IASME Governance certification in recognition of our data management credentials. ‘Website’ means the website of the Customer as supplied by the Company. 1.1 Any contract howsoever made for the supply of Goods and/or Services by the Company to the Customer shall incorporate these Terms and Conditions, which shall apply to the exclusion of any provisions in any document issued by the Customer (unless stated to the contrary). In the event of the Customer seeking to incorporate special conditions into the contract these shall not apply unless they are accepted and agreed by an authorised officer of the Company in writing. 1.2 The Customer, by placing an order for the Goods and/or Services, confirms their acceptance of the Contract and agrees to be bound by the terms of this Contract. 1.3 No employee, agent or contractor of the Company has power to vary any of these Terms and Conditions. Variations (if any) must be in writing and signed for on behalf of the Customer and Company by a director, partner or proprietor of the Customer. 1.4 Any quotation given by the Company to the Customer is an invitation to the Customer to make an offer to buy the Goods and/or Services only within the period stated on the quotation. 1.5 The Company reserves the right to accept or reject any order offered by the Customer and shall not be bound until it communicates its written acceptance of the Customer’s order to the Customer at any time prior to the Delivery of the Goods or Acceptance of the Services. 2.1 The date of commencement of this Contract will be the date of execution by both the Company and the Customer of this Contract. 3.1 The Price for the Services is specified and may be varied if the Customer's requirements change during development. Any such change must be agreed in writing by the Company and the Customer. 3.2 The Price for any given Contract will be valid for a period as specified on the corresponding quotation document (typically 30 days). An Order may be placed at any time during this period in order to guarantee the quoted Price; after this period the Price may be subject to change (requotation) at the Company's discretion. 3.3 All Prices are exclusive of any applicable VAT and all other duties or tariffs arising in the UK or elsewhere. 4.1 Unless otherwise agreed by the Company, payment of the full Price (including VAT and any other charges) for the Goods and/or Services shall be made within 30 days of the invoice date unless payment by instalments has been specified. Payments for Design Services only are normally due on completion. 4.2 Where the Company and the Customer have agreed that payment for the Goods/and or Services shall be made in instalments, payment shall be made as set out in an agreed Schedule. 4.3 If the Customer fails to make any payments at the due date in accordance with these Terms and Conditions the amount unpaid shall bear interest at the rate of base rate plus eight per cent per month compounded, such interest to accrue in the case of a part of a month from day to day at one thirtieth of the monthly interest. A debt recovery charge may also be levied in accordance with the Late Payment of Commercial Debts (Interest) Act 1998. 4.4 The Company reserves the right to cease Design Services, suspend ISP Services or remove the Customer’s Website from view, if at such time there is dispute or delay over an agreed payment. 5.1 Where required, completion date(s) will be agreed between the Company and the Customer prior to commencement of work, or at appropriate times during Delivery. The Company agrees to be bound to such dates except where any necessary feedback and/or approval is not supplied by the Customer in a timely manner, or when work is interrupted or delayed by events outside of the Company's control. 5.2 The Company will agree to provide compensation to the Customer in respect of any agreed completion dates which are missed as a result of the Company's actions. The nature and amount of such compensation will be agreed between the Company and Customer on a case-by-case Contract basis. 5.3 Any claim of the Customer that the Company has failed to despatch from its premises the specified quantity or type of Goods shall be made in writing no later than 3 days after receipt by the Customer of the Goods. In no circumstances shall the company be liable in default of notification within such period. 6.1 Upon Delivery of Goods and/or Services, ownership of all visual designs/templates, publicly accessible code and all content/data held within the supplied system, both at the point of Delivery and on an ongoing subsequent basis, become the property of the Customer. 6.2 Ownership of server-side code used to provide functionality to a Delivered system remains the property of the Company, and is made available to the Customer on an ongoing licence basis, for as long as the Customer wishes to continue the supply Contract. 6.3 Any third party copyright materials used by the Company on behalf of the Customer cannot be used by the Customer without first seeking the third parties permission or agreement. 6.4 If the Customer supplies the Company with text, photography, artwork, animations, brochures, technical or personal data, information or material of any kind, the Company will not at any time be responsible to the Customer or any third party whatsoever in regard to copyright, errors or omissions, faults or subsequent damages in such information. This also includes that information supplied by software, discs, electronic transfers or orally if supplied by the Customer to the Company for publishing to the Website. 6.5 The Customer agrees to comply with the terms of any agreements reasonably required by the owner of intellectual property rights in any such software or documentation relating to the protection of those intellectual property rights. 7.1 The Company's liability with regard to Goods and Services supplied shall at any time be determined by the prevailing English law. 7.2 The Company expressly excludes liability for consequential loss of anticipated business, savings or goodwill. 7.3 In the event that any exclusion contained in this Contract shall be held to be invalid for any reason and the Company becomes liable for loss or damage that it may otherwise have been lawful to limit, such liability shall be limited to the Price of the development work. 7.4 The Company shall not be liable for acts or omissions over which it has no control. 7.5 The Company does not exclude liability for death or personal injury to the extent only that the same arises as a result of the negligence of the Company, its employees, agents or authorised representatives. 8.1 The Customer shall indemnify the Company fully against all liabilities, costs and expenses which the Company may incur as a result of work done in accordance with the Customer's instructions in development and/or hosting of the Website involving infringement of any copyright, patent or other proprietary right (including but not limited to framing or linking to third party Websites and/or third party proprietary material). 8.2 The Customer agrees to indemnify and keep indemnified the Company, its successors and assigns, and each of their respective directors, officers, employees and agents from and against any and all liability, damages, losses, claims (including reasonable legal fees) resulting in any way from its use of and from any material posted on the Website, to its discussion groups or from any other matter relating to this Contract including but not limited to use of the information contained on the Website based on the Customer’s contribution, from discussion groups or arising from any introduction or collaboration resulting therefrom or otherwise arising from the Website. (iii) replace the infringing material with other material of similar capability. 8.4 The Customer waives any right to bring any claim or action against the Company or its successors and assigns for any loss, damage or injury arising from use of the Website or any material from the Website as in 8.2 above. 8.5 The Customer agrees to indemnify the Company for any claim made against the Company arising from content published by or approved by the Customer. 9.1 For some web development it may be technically impracticable to provide the Service free of faults and the Company does not undertake to do so. The Company will correct reported faults as soon as it reasonably can during the “snagging” period agreed. c) give instructions about the use of the Services which the Company thinks are reasonably necessary in the interests of health, safety or the quality of the Service to the Customer or any other customer. 9.3 All text must be provided by the Customer in electronic format and all photographs and other graphics must be provided in high quality print suitable for scanning or in a suitable electronic format. Additional expenses may be incurred and will be invoiced accordingly for corrective work, conversion of media and outside facility charges. Content changes must be submitted to the Company electronically unless agreed in advance and incorporated in the Contract. 9.4 Whilst the Company will make every endeavour to carry out instructions accurately, it is the responsibility of the client or reseller to proof alterations, information or details. The Company does not accept liability for accuracy of alterations or loss of business resulting from inaccuracy. 10.1 All domain names are registered in the Customer’s name and not that of the Company. The Company acts as an agent in the registration of domain names, and the resulting domain registration contract exists between the Customer and the appropriate domain naming authority. The Customer agrees to be bound by the terms and conditions of the appropriate naming authority’s contract. 10.2 The Company cannot guarantee that they will be able to register any requested domain name and until specific confirmation of registration has been received the Customer cannot assume registration has been effected. 10.3 The Company supplies and offers domain name registration in all good faith and advises the Customer that the Company will not be held liable for any claims, damages, penalties and expenses arising from any third party allegations that the registered domain name infringes any rights owned by such third parties. 10.4 Although the Company will try to keep the Customer informed regarding forthcoming domain name expirations, the Customer takes full responsibility for renewal of their domain name(s). In the event that any such renewal application is rejected by the relevant domain name authority, the Company accepts no liability for such rejection. 10.5 The Company will try to ensure the Customer’s site is submitted to the agreed search engines but will not be held responsible for poor ranking or non-appearance. 11.1 The Customer acknowledges and agrees that the Company is entitled at any time and without notice to remove the Website from its server and/or bar access to the same in the event of any violation or alleged or suspected violation of any relevant laws. In the event the Company is informed by government authorities of inappropriate or illegal use of Company facilities, the Company may terminate the Customer's service. (iii) data protection legislation within the law must be adhered to in order that the collection of personal information is not traded or disclosed illegally. (iv) never violating the security of any Website or engaging in unauthorised decryption of protected material. 12.1 The Customer is responsible for the security and proper use of user names, passwords and security passwords used in connection with the Services and must take all necessary steps to ensure that they are kept confidential, used properly and not disclosed to unauthorised people. The security passwords must not be disclosed to any third parties. 12.2 The Customer must immediately inform the Company if there is any reason to believe that a user name, password or security password has or is likely to become known to someone not authorised to use it or is being or is likely to be used in an unauthorised way. 12.3 The Company reserves the right to suspend user name and password access to the Customer's Website if at any time the Company considers that there is or is likely to be a breach of security. 12.4 The Customer must immediately inform the Company of any changes to the Customer's details, which the Customer supplied when registering for the Services. 13.1 The Company’s obligations in respect of any defective Goods shall be limited to the repair or replacement (at the Company’s discretion) of the Goods concerned together with further damages (if adjudged to be payable) not exceeding the aggregate Price of the Goods. Save as aforesaid the Company shall not be liable to the Customer or any third party for any indirect consequential or economic loss or damage howsoever caused or for any loss of profit. 13.2 The Customer must inspect the Goods as soon as it receives them and must notify the Company within three working days of any apparent defect. 13.3 The Company is not liable to the Customer either in contract, tort (including negligence) or otherwise for the acts or omissions of other providers of telecommunications or internet services (including internet registration authorities) or for faults in or failures of their equipment. 13.4 The Company does not warrant that the hosting Services or the Server will be continuously available 24 x 7 x 365 but will use its reasonable endeavours to keep downtime to a minimum and within the limits set out in the hosting service level agreement which forms a part of the Contract. 13.5 The Customer accepts the hosting Service and Server "as is" with any faults or failings and without any representation, warranty or guarantee whatsoever, express or implied, including without limitation any implied warranty of accuracy, completeness, quality, continuity of service, connectivity, merchantability, fitness for a particular purpose or non-infringement. 14.1 The Company will retain information on the Customer which it obtains from the Customer relating to the ownership of the Customer, the Goods and/or Services which it purchases and the methods and time of payments. 14.2 All information, drawings, specifications, documents, contracts, design material and all other data which the Company may have imparted and may from time to time impart to the Customer relating to its know-how, its business, clients, prices, services, software, bespoke software, the Website, contracts (including this Contract), Website design, architecture and content (including any technical specifications therefor), is proprietary and confidential. 14.3 The Customer hereby agrees that it will use such confidential information and all other data solely for the purposes of this Contract and that it will not, at any time during or any time after the completion, expiry or termination of this Contract use or disclose the same whether directly or indirectly, to any third party without the Company's prior written consent. (iv) in the lawful possession of the Customer prior to disclosure. The restrictions in this paragraph shall survive the termination or expiry of this Contract. 14.5 The Customer further agrees that it will not itself or through any subsidiary or agent use, sell, license, sub-license, create, develop or otherwise deal in any confidential information supplied to it by the Company or obtained pursuant to this Contract. 15.1 The Customer may terminate the Contract by indicating their intention not to renew hosting/licensing at the appropriate time annually, or at any time provided that all agreed payments have been made. Termination of the Contract will result in withdrawal of any web hosting or other Services supplied by the Company. (ii) if the Customer becomes bankrupt or compounds or makes any arrangement with or for the benefit of its creditors or (being a company) enters into compulsory or voluntary liquidation or amalgamation (other than for the purpose of a bona fide reconstruction or amalgamation without insolvency) or has a receiver or manager appointed of the whole or substantially the whole of its undertakings or if any distress or execution will be threatened or levied upon any equipment and/or software or other property of the party entitled to serve notice hereunder or if the other party is unable to pay its debts in accordance with the law relating to this Contract. 15.3 Within seven (7) days after the date of termination of this Contract for whatever reason, the Customer will return or destroy (as the Customer will instruct) hard-copy forms of the Website, bespoke software, Company's software, designs, graphics, and all audio-visual and hard copy material and data relating to the Website and business and purge/expunge all magnetic media forms of the Website and all software and related material and furnish the Customer with a certificate, certifying that the principal and all copies of such material made (in whole or in part), in any form of media have been so returned, destroyed and/or purged/expunged as the case may be or hereby permit the Customer's personnel or agents to collect, destroy or purge/expunge the same. 15.4 Termination of this Contract will be without prejudice to any accrued rights of either party and will not affect obligations which are expressed not to be affected. In the event of war, invasion, act of foreign enemy, hostilities (whether war has been declared or not) civil war, rebellion, revolution, insurrection, riot, civil disturbance, fire, flood, explosion, accident, theft, climatic conditions or shortage of material the Company shall be relieved of obligations incurred under the Contract with the Customer and to the extent of the fulfilment of such obligations are prevented, frustrated, impeded or delayed as a consequence of any such event or by any statute, rules, regulations, orders or requisitions issued by and Government, Council or other duly constituted authority or form strikes, lock outs, trade disputes (whether involving the Company’s employees or other parties) or any other causes whether on not of a like nature, beyond the Company’s control. Orders placed by the Customer are not subject to cancellation either wholly or in part except with the written consent of the Company. Such consent will usually be given upon terms that the Customer shall reimburse the Company for any loss expense and time spent occasioned by the cancellation. If the Customer shall make default in or commit a breach of these Conditions or of any Contract with the Company, or if any distress or execution shall be levied upon the Customer’s property or assets, or if the Customer shall make an offer to make any formal or informal arrangement or composition with creditors, or commit any act of bankruptcy, or if any petition or receiving order in bankruptcy shall be presented or made against the Customer of if the Customer is a limited company and any resolution or petition to wind up such company’s business shall be passed or presented, or if a receiver of such company’s undertaking, property or assets or any part thereof shall be appointed, the Company shall have the right without notice to the Customer and without prejudice to any other claims or rights the Company may make or exercise, to determine all or any of the Customer’s orders which have not been fulfilled. Failure or neglect by the Company to enforce at any time any of the provisions hereof will not be construed nor will be deemed to be a waiver of the Company's rights hereunder nor in any way affect the validity of the whole or any part of this Contract nor prejudice the Company's rights to take subsequent action. 20.1 The Company may sub-contract part or all of the work under the Contract without however affecting its liability to the Customer to deliver the goods in accordance with the contract. 20.2 In the event of organisational change, the Customer may re-assign the Contract to an equivalent organisation or individual by prior written arrangement with the Company, except where payments are outstanding and the Company is of the reasonable belief that the substituted organisation is not financially solvent or credit-worthy, in which case the Customer will be required to settle all outstanding sums before re-assigning the Contract. 20.3 In the event of re-assignation of the Contract by the Customer, the substituted organisation or individual will assume the role of Customer, and will be bound by all relevant conditions as defined in this document. Notice may be given by either party to the other by sending them to the registered office or last known business address of the addressee. Any such notice will be valid if sent by facsimile or post and will be deemed to have been received in the ordinary course of transmission or dispatch. In the event that any of these terms, conditions or provisions or those of any schedule or attachment hereto will be determined by any competent authority to be invalid, unlawful or unenforceable to any extent such term, condition or provision will to that extent be severed from the remaining terms, conditions and provisions which will continue to be valid to the fullest extent permitted by law. Every contract is subject to English Law. The Customer submits to the non-executive jurisdiction of the English Courts for the determination of any question or dispute, however arising, between the Company and the Customer. CRB Associates Ltd is committed to ensuring that your privacy is protected. Should we ask you to provide certain information by which you can be identified when using this website, then you can be assured that it will only be used in accordance with this privacy statement. CRB Associates Ltd may change this policy from time to time by updating this page. You should check this page from time to time to ensure that you are happy with any changes. This policy is effective from 1 April 2011.
other information relevant to individual customer requirements. You may request details of personal information which we hold about you under the Data Protection Act 1998. A small fee will be payable. If you would like a copy of the information held on you please write to CRB Associates Ltd, The Priory, High Street, Redbourn, Herts AL3 7LZ.